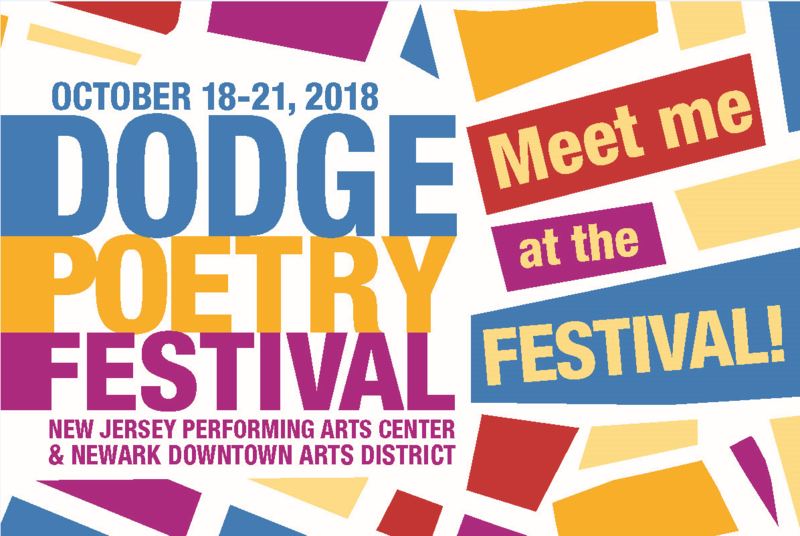 Here's all the information you need to be part of #DPF18! Do you have your tickets? Weekend and Four-Day Passes are on sale now! Get 'em while they're hot! Teacher? Thursday is Teacher Day, and as always, you can get a discounted rate on all regular tickets on our ticket page. College Student? Good news! $10 tickets are available just for you! Newark Resident? Enjoy a 50% discount on tickets. Student? We've got 50% off for you. Senior Citizen? We've got discounts for you too! A hotel. We've got special hotel rates for you, but book soon! Blocks are filling up. A train ticket. Get your $10.50 round-trip NJ TRANSIT tickets to Newark Penn, from any NJ TRANSIT station. A ride. Get $5 off of LYFT rides with the code NJPAC. Subscribe to our Poetry Fridays blogs to follow our Ask A Poet series, which is a great way to get to know the 2018 Festival Poets. The series starts this Friday! ...and don't forget to Share Festival news and information with your pals! Spreading the word helps bring the poetry community together.